“Monuments Men” tells the story of a small group of Allied art experts who were tasked with trying to locate the art that Hitler had looted from across Europe. There are some back-story inserts about particular works of art that are then used as focus points for the dramatized version of the story. I suppose if you read the book that the film is based on, you would get a clearer idea of what was fiction and what was invented. I think I can pick out enough of the dramatic bits to say that this film is mostly an imposition of plot on top of a real world story. The plot is serviceable enough and even better, it highlights the elements that make you proud to be an American. As the CBS story pointed out, we did not take these works back to American Museums, we tried to return them to their rightful places. The story also mentioned that art pieces are still appearing seventy years later, in private collections and the work of clearing the legacy of theft is ongoing. George Clooney stars in and directed, from a script he co-wrote. When he did “Good Night, and Good Luck”, he was the toast of the town, by the time he did “Leatherheads” he was just toast. His last few films as director have not been well received. I did not see the “Ides of March” but I think I know what turns some other critics off. He keeps the story straight and does not shy away from sentiment. Cynicism is the coin of the realm in critical circles and there is not an ounce of it in “Monuments Men”. There are clear heroes and villains and a task that is difficult. Sometimes a race to the treasure aspect or a dramatic incident is used to make the audience stay invested, but never in a way that talks down to them. His style may be just too direct and workmanlike to please cineastes, but the average film goer should be plenty satisfied with this story. 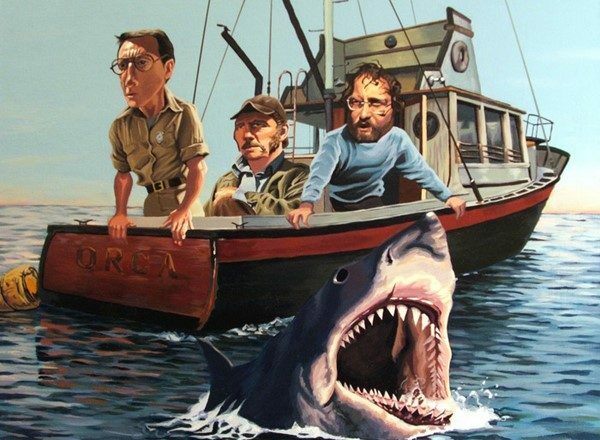 I especially enjoyed the pairings in the film that carry much of the entertainment value. Clooney and Damon play off one another like the frequent partners they have been. John Goodman and Jean Dujardin have a nice sequence in a truck that plays up humor at first and then tragedy. Bill Murray and Bob Balaban get the most opportunities to make us smile, both in the warm embrace of home and the smug satisfaction of besting an evil opponent or a scared kid, and knowing the difference. 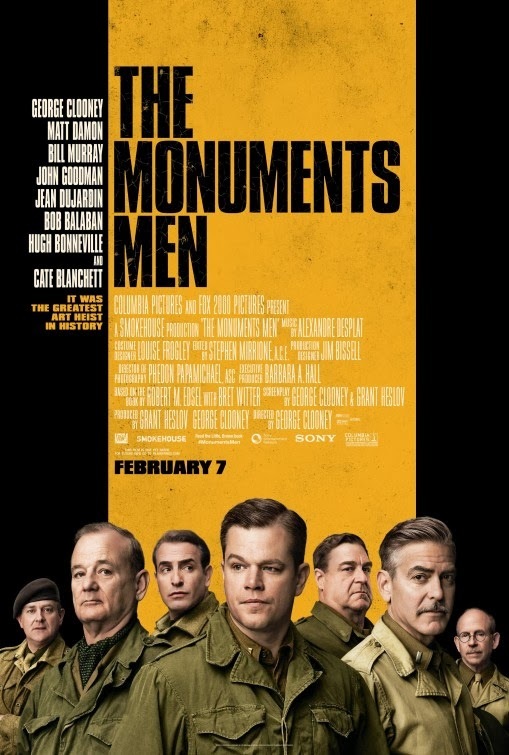 The truth is that all of the real Monuments Men were in a real war with real bullets flying. There are sometimes a few too many words in the speeches that tell us how important this project is, but they are sincere words and I did not think they hurt the story at all. I guess one of the criticisms is that by being so sincere the film plays flat. I found it refreshing that the soldiers did the same kinds of things I member seeing in B & W WWII films starring John Wayne, Errol Flynn or a dozen other stars from the forties. No one takes out a baseball bat and pounds the truth out of someone, they use deception, reason and righteous anger to get the job done. There are several points where the story does have to payoff given the way the script is written, and those outcomes were fairly satisfying to me. In a flash forward coda, I thought at first I was seeing an amazing make up job but than I realized the director managed to get his father into the film and that was a kick. The former host of AMC, before commercials and “Breaking Bad” was a nice presence and suggests just how heartfelt the whole enterprise was.